The “quiz” was conducted by a Bandar who swung around Huntington Beach, California. The locals surprised us with a couple of answers, with the parley taking place in classic monkey spirit. The trickiest question they faced was identifying Narendri Modi amongst Rahul Gandhi, Modi himself and a Prime Minister we feel India truly needs- Sir Rajnikanth! Don’t be alarmed by how little they actually know though . Acclaimed comedian John Oliver breaks down the American perspective in his hilarious analysis of the world’s largest democratic elections. Disclaimer: We love our prime minister and country, and are still light hearted unopinionated monkeys, we simply found this humorous, kindly don’t take this blog down just yet. Now the next one proclaims that we, as Indians, don’t know a few things about our country. Maybe the history books can’t cover everything from a global perspective after all, but we weren’t exactly going bananas when we got to know. Still makes for a watch though, mostly cause of the interactive nature of the video. There’s always some charm about a Brit summarizing our moment of independence in classic old school narrative isn’t it? Dr APJ abdul kalam’s short independence message is still timeless due to its sheer simplicity. A Bandar salute to this great man! Hope you liked our post-independence day videos, do subscribe to our channel and newsletter for handy information and fun stuff. Time to Go Bananas dear Humans! 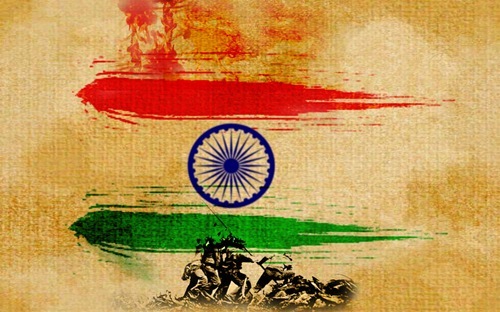 Jai Hind! ← Top 5 Ice Bucket Challenges-Why it’s so cool.